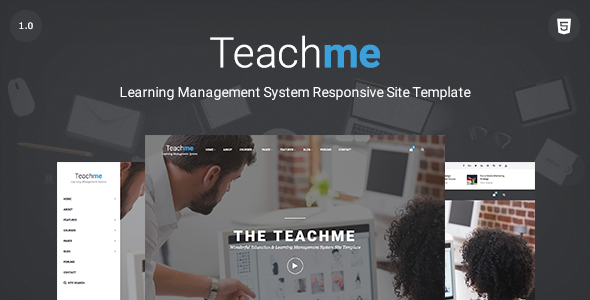 The Teachme is a creative design learning management system responsive site template coded with Bootstrap framework, HTML5 and CSS technology. Teachme template comes with 60+ responsive and w3 valid HTML files, 7+1 homepage layout examples, 30+ custom sections like; team members, course modules, image boxes, service boxes, slider examples and much more. The Teachme template ideal for university, education, school, online learning sites, online courses, video blogs, paid membership sites, blogs, business and technology sites. You can build powerful learning sites with our awesome course page examples. We also designed beautiful membership pages, custom forum page, 10+ creative page examples, custom build mega menu and dropdown menus, left sidebar menu, transparent header and 6 different header positions.